TPS Episode 006 Why Does the Septuagint say “Mighty Counselor of God” in Isaiah 9:6? An Interview with Dr. Michael Heiser. In the Septuagint (Old Testament in the Greek Language), a phrase in Isaiah 9:6 is rendered as "Mighty Counselor of God," when the Hebrew Text says, "Mighty God." Why is that? How can we better understand this verse? In this episode, Dr. Heiser explains what is Septuagint, how reliable it is, and answers the question: Why Septuagint says "Mighty Counselor of God" in Isaiah 9:6 when the Hebrew Text says "Mighty God"? Some claim that Christ is NOT God based on the Septuagint rendering. Dr. Heiser explains this issue. 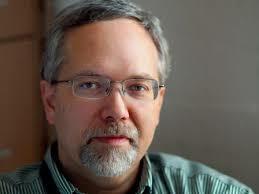 Dr. Michael S. Heiser is a Scholar-in-Residence for Faithlife Corporation, the makers of Logos Bible Software. His varied academic background enables him to operate in the realm of critical scholarship and the wider Christian community. Dr. Heiser earned his PhD in Hebrew Bible and Semitic languages and holds an MA in ancient history and Hebrew studies. He is the coeditor of Old Testament Greek Pseudepigrapha with Morphology and Semitic Inscriptions: Analyzed Texts and English Translations, and can do translation work in roughly a dozen ancient languages, including Biblical Hebrew, Greek, Aramaic, Egyptian hieroglyphs, and Ugaritic cuneiform. He also specializes in Israelite religion (especially Israel’s divine council), contextualizing biblical theology with Israelite and ancient Near Eastern religion, Jewish binitarianism, biblical languages, ancient Semitic languages, textual criticism, comparative philology, and Second Temple period Jewish literature. In addition, he was named the 2007 Pacific Northwest Regional Scholar by the Society of Biblical Literature. Learn More! The Unseen Realm: Recovering the Supernatural Worldview of the Bible by Heiser, Michael S. Lexham Press 2015. Angelomorphic Christology: Antecedents and Early Evidence (Library of Early Christology), by Charles Cieschen, June 30, 2017. Two Powers in Heaven: Early Rabbinic Reports about Christianity and Gnosticism (Library of Early Christology), by Alan Segal, July 17, 2012. The Bodies of God and the World of Ancient Israel, by Sommer Benjamin, January 17, 2011. Support The Plain Sense Podcast by becoming a Patron!